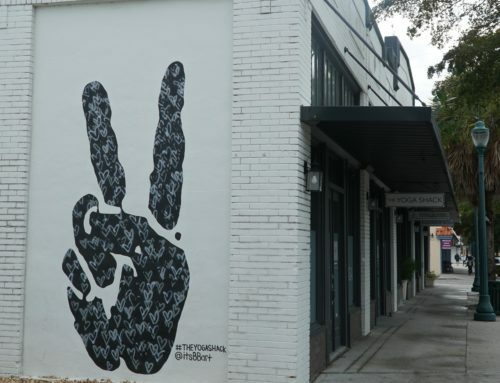 Leadership of a successful yoga studio is an extension of internal values flowing into decisive, strategic actions. Just like a team of sled dogs follow their leader, studios are direclty influenced by its owner. Over the course of 15 years working with various studios and owners, there have been some natural leaders that were able to develop and oversee a great team. I’ve also observed some that were failing miserably on many accounts to keep their doors open. In any case, the willingness of the studio owner to grow and evolve for the better made the biggest difference. In fact, isn’t that what yoga teaches us to do each time we step on our mat? To remove our excuses, take responsibility for ourselves, and enjoy the process of growth through ongoing learning? 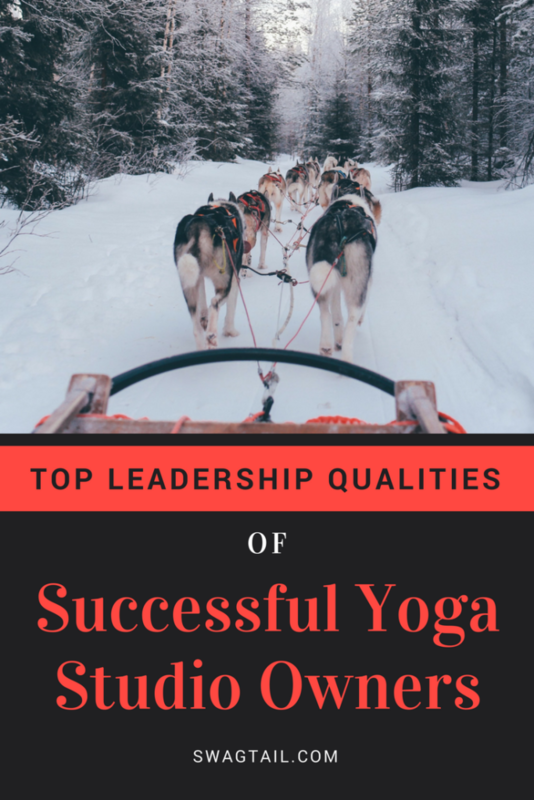 Whether you own a studio currently, are looking to do so down the road, or work within the structure of a yoga studio now, the leadership traits outlined in the blog post below can add more courage and clarity in your professional life. And, they can be a lot easier to implement than you might imagine! A great leader is often defined by their capacity to hold a vision for the future, and inspire other people to engage with that vision. 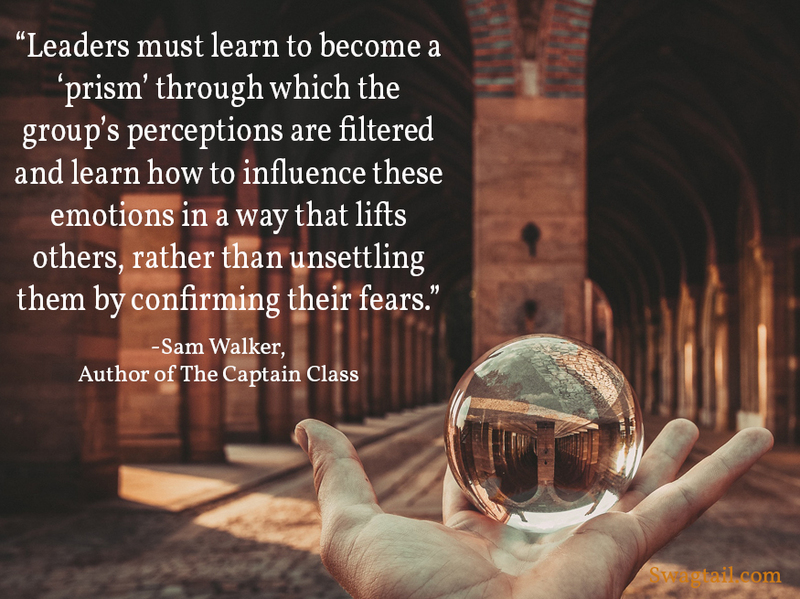 In Sam Walker’s book, The Captain Class, he illustrates the top seven traits of sports captains on the winningest teams in history. These individuals defied the common stereotype of leaders often held today. Keep in mind that there is more than enough room in the yoga industry for many to have success. The time, training, and personal attributes you bring to the table, however, can make all of the difference as to how you realize that success. Ready to fully embrace your inner leader? Let’s check out how. 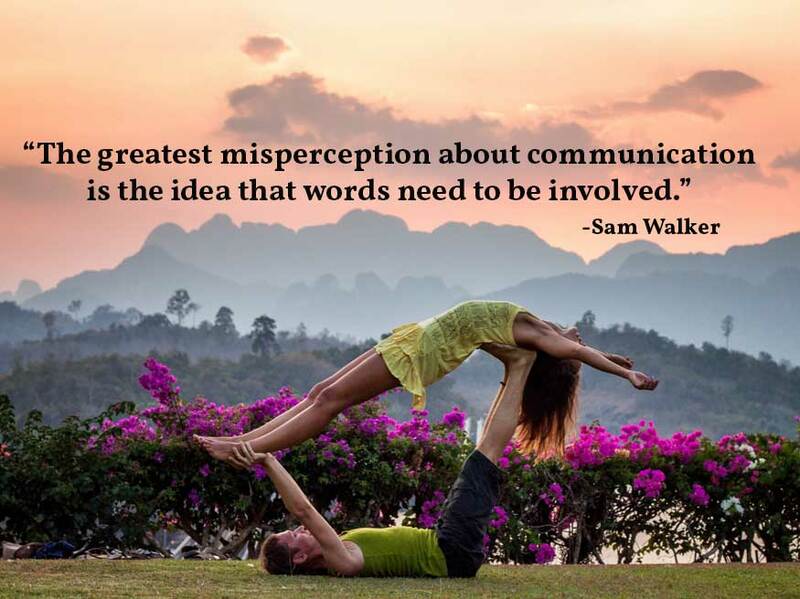 Communication is one of our absolute favorite topics here at Swagtail. This is because your ability to speak your ideas, beliefs, passions and goals into words is one of the most powerful ways you connect to others and bring them on board with your vision. If you’ve watched any of the great sports movies produced in the past few decades, some of the most poignant moments in those films are when the captain gives a moving speech to inspire their team. They said just the right words, at just the right moment, to emotionally move others to action. Granted, it’s the Hollywood way of bringing us along for a magical ride. Yet, we often buy into the idea that, to lead, we must also speak in such a poetic dialogue. Walker proves that true leaders use a practical and consistent form of chatter for motivation. For example, Ferenc Puskas, was a formidable forward for Hungary’s soccer team. He believed his “teammates were professionals and should be able to motivate themselves.” (p 155) Bill Russell, of the Boston Celtics, held open meetings with the team and allowed everyone to give their point of view before the team came to a consensus. Yogi Berra, of the New York Yankees, took extra time to learn the moods and communication styles of his teammates off of the field so he could better communicate with them during play. Each leader has their own communication style, and so do you. It’s important to know how you communicate, where your strengths lie, and build on those strengths to reinforce the success of your business. How often do I send out updates to my team about the studio/business? Do I do this consistently? If so, how often? If not, why not? When do I ask for input from my team? How often does this occur? If I asked my team how included they felt at the studio, what would be their responses? Celebrate what you are doing well to speak to your team, and notice how you can improve. The change toward improved communication starts with you. Many yoga teachers are like ships passing in the night. With random schedules, and often various teaching locations, it might not be possible to generate a strong sense of team cohesion. However, as a leader, you can get to know your teachers and staff. Perhaps meet with them once a month for tea, or plan an event where your teachers can all be present together (such as a photoshoot, workshop, or luncheon). Then, when you get together, ask them questions. Really listen to what they have to say. Acknowledge and appreciate their feedback, and tell them how much you value them as part of your team. The more you get to know them, you’ll get to know how you can bring out the best in them. Some might want more support than others. Yet, you won’t know this unless you get to know them on a deeper level first. If you’re running a studio or multi-person yoga business, then you are dealing with lots of different personalities. And, since no one is perfect, you’ll be let down from time to time. Set time aside to discuss the issue, and more importantly, the resolution with that person in private. And, to continually build up that person as a valuable part of your team, tell them so often. Do this when alone, and especially in front of other students, teachers, and classes. Shine your light on them and notice how much brighter they can be as a result. As a sidebar here, it’s great to communicate this with your team, and expect them to follow this same rule. In the early 1990s, Harvard psychologists studied body language and discovered that words barely mattered for other people to understand intentions. Later research at the University of Parma discovered that mirror neurons allow our brains to make deep, powerful, and emotional connections with others without the need for words. These findings, along with scores of additional research in the field since then, prove that what how we act can often be more important than what we say. In the sports world, The Maori dance is used by the New Zealand All Blacks to intimidate opponents before a match. Tim Duncan, of the San Antonio Spurs, was not a vocal leader, but was extremely expressive with his eyes. Even during timeouts, Duncan’s eyes would always move to scan the environment. He also strategically placed himself in teammate huddles to assess the body language of the group. Perhaps most importantly, even though Duncan wasn’t a talker himself, he created an environment in which talking was encouraged. Just like the captains used this skill of non-verbal communication to foster success, is extremely important to enhance it yourself to sustain a positive leadership role at your studio. If you love what you do, then actions that outwardly express that passion come naturally. The question is, “how do you and the other teachers, students, and staff recognize see this love in your actions?” Perhaps your attention to studio cleanliness, office organization, tech support, and other necessary details reveals how much you enjoy this business. Seriously, take time now to reflect on how much your non-verbal cues reflect the long-term success you envision. Then, take any steps necessary to bring yourself back into alignment if your outward behavior does not match your internal focus. There are ways to stay motivated as a yogi, and as a leader, and it’s essential you keep your passion high so that you can have it rub off on your team. The goal of this step is to act with authenticity. Always! We know there will be times when you’re not floating on cloud nine. Life is life, and there can be challenging elements at any turn. Don’t fake it ‘til you make it–the mirror neurons and internal wisdom of your team will detect a falsehood. Instead, be real. Use verbal communication, if necessary, to communicate your thoughts. Or, allow your team to see that you’re also on the path to your best self, and that you take action to for personal improvement. Through your transparency, your team will accept your weaknesses and enjoy your strengths. Some people are simply unable to verbalize when they’re upset. If this is the case, then often their body language will reveal their discomfort. Thus, if you have a teacher demonstrating negative, non-verbal cues such as extended sighs or frustrated eyes, question them about what’s wrong. Make no assumptions here. The sooner you get to the issue, the more quickly to can get to a resolution. Of course, asking them about this at the appropriate time and place is essential. If a chat at the studio right then is not appropriate, call them after their class or request a good time for you to meet up again. By asking questions, you remain in control and can use that insight to direct the communication in a way that will uplift you and your team. This trait directly reflects the courage you have to face uncomfortable situations. Conflict is a natural part of life. Now, there are two types of conflict we want to note here. The first type of conflict is personal conflict, which is driven by hatred or dislike. This can happen when one person on the team simply cannot stand the personality of another. One yoga teacher spreading rumors about another is one example of this. Personal conflicts weaken any team, and it’s best to handle these immediately. The second type of conflict is task conflict. This issue arises when there is discontent about the way actual execution of work, or a task, is being done. For example, an evening instructor might arrive to find no clean towels available for their students. Both big and small issues need to be addressed by the leader. Only then can the studio make some changes that will not only benefit the team as a whole, but lead to more efficiency and long-term success of the business. By viewing task conflicts as a chance to learn, you strengthen your ability to do what is right (even when your ego might be on the line). You also demonstrate to your team that you are willing to stand up for the team and its big-picture values. Conflict resolution is a big skill to learn. To keep things simple at first, just ask yourself, “what would some solutions be to this problem?” Most times, an answer is not needed right away. Take time if you can, contemplate your options, get help as needed, and then move toward a resolution. Team success is built on the capacity for its members to speak truthfully and in a timely manner. The best way to do this is to have a system in place to deal with both personal and task conflicts. Make a step-by-step outline of what is to happen when conflicts arise. Notify your teachers and staff of this policy. Have them sign it, and then work those steps as needed. The clarity you create now will give you the confidence to navigate many uncomfortable situations in the future. As my father-in-law used to say, “Cutting wood with a dull saw is a waste of time and energy.” To prevent inefficiencies in your studio, get feedback from your team. Continually. Allow teachers to make suggestions about ways to improve the studio. Send out a survey to your students to get their take on what would make the studio better. This will not only give you a clearer perspective about your business, it will allow you to increase efficiency before any large conflicts or problems ensue. Your willingness to listen, and make changes, also re-asserts your position as a valuable leader of your community. Again, this may seem like a common sense concept, but it takes courage and strength to admit this to, out-loud, to others. Making amends with another person might be as simple as saying, “You were right. I was wrong, and I’m sorry for [insert your mistake here. ]” Other times, actions might need to follow your words. Just remember, coming from a place of authenticity and respect will speak volumes about your leadership capacity. Elite athletes are able to put a kill switch on negative emotions, and still perform at a high level regardless of any personal or professional setbacks. 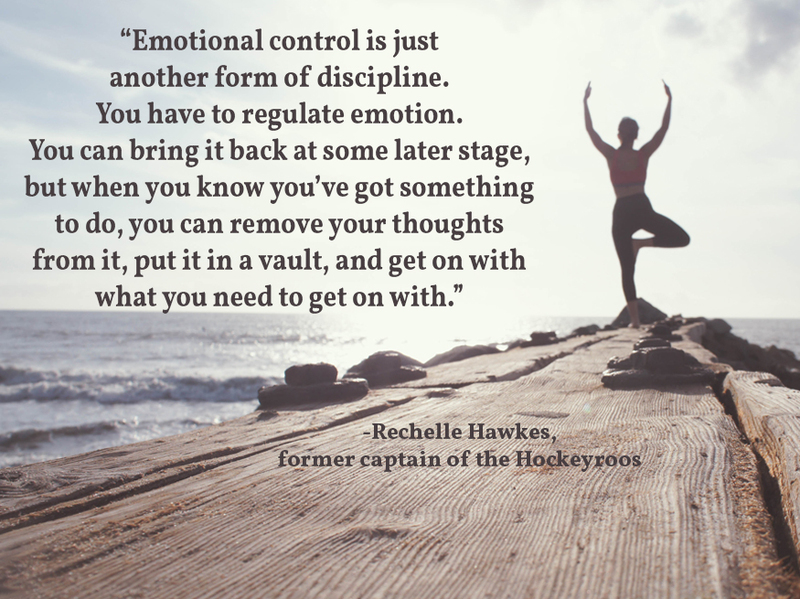 Rechelle Hawkes, who is one of the most decorated leaders in women’s field hockey history, demonstrated her emotional fortitude when being removed from the captain position. The coach felt the captain position was outdated, and wanted to promote a “leaderful” team. Hawkes didn’t quit or cease to act like a leader. Even when she was denied wearing the captain armband for the gold medal match at the Sydney Olympics, she set aside her personal pride to help her team win the match. She knew that being a leader meant more than any title–it was about discipline, emotional control, and team success. While emotions can add color to life, they do not define us. And, as yogis, we’re taught to step back and view them as objective messengers. In order to keep this perspective in the personal and business spheres of life, it’s necessary to cultivate this trait on internal stability. Life is full, and your schedule can fill up quickly. 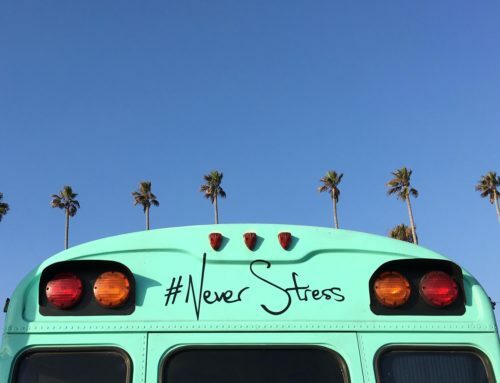 Keep your cool by booking time for yourself to continually manage your emotions. This can mean you schedule time for a regular practice. It might mean you wake up 15-20 minutes earlier to meditate each day. It could even mean you set aside time each week for you to reflect, plan, and prepare for the upcoming week. Whatever you need to do to stay in touch with your center, do it. For, if you waiver from internal balance, it will be much harder to lead the team (especially when times get tough). When you encourage your teachers to do this as well, you’ll continue to lead by example. 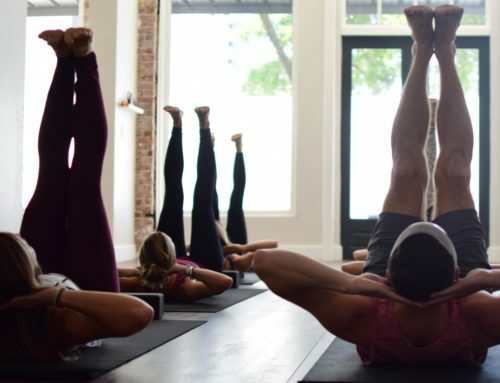 Pro athletes set aside their personal issues to perform, and so can yoga teachers. For, teaching a yoga class is really about caring for the student in a clear and focused way. Allowing personal issues to enter the yoga space just hinders this connection. Now, sharing personal insights with students is one thing. Divulging personal insecurities or family tragedies while teaching is quite another. It allows the negative emotion to dominate the experience. Getting feedback from your community will notify you if this is an issue with any of your teachers, and having a policy in place for such conflicts will bring them to a resolution more quickly. If you don’t manage your emotions, your emotions begin to control you. 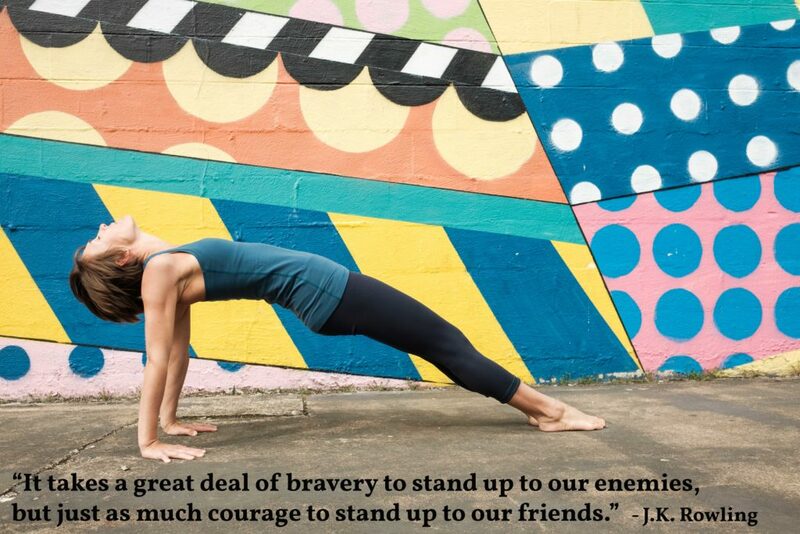 Yoga is a powerful way to be proactive in this. Meditation is another. There’s also a whole host of techniques out there–such as sound healing, HeartMath, and Emotional Freedom Technique–that reveal emotional blocks, and help people remove them. Try out some different methods for yourself, and then host a specialist at your studio. Not only will you bring more value to your community, but you can remind them of the immense value in managing one’s emotions. The yoga community is growing at an exponential rate, and there are many natural leaders in our midst. Whether you own a studio, run a yoga-related business, or are a one-person-show, you can internalize these leadership traits. Click on the link below to get your free worksheet to see where you’re at with these four traits.